Bronson Pelletier plays Jared in the “The Twilight Saga” series. 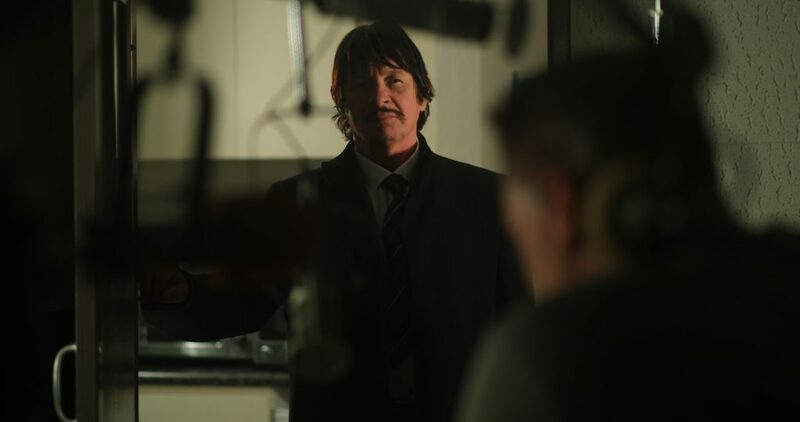 Bronson also stars alongside fellow “Twilight” cast member Tinsel Kory in the upcoming film “Fishing Naked”. Media Mikes caught up with Bronson fresh off his return from this year’s Comic-Con convention. Adam Lawton: What drew you to audition for the role of Jared in the “Twilight” series? Bronson Pelletier: At first when I wanted to audition they didn’t give us a lot of information about the roles and were very secretive. I auditioned for the role of Embry at first and didn’t really have an idea what “New Moon” was. I had thought it was just some sort of aboriginal movie. After the audition I started to do my homework and realized it was part of “The Twilight Saga”. I went back for another audition and they had me read for Quil which was an entirely different character. I went to that audition a little nervous as the producer and director were there. When the audition was over they didn’t really give me any other information until about 3 weeks later when they told me I got the part. About three weeks before we started shooting I received the script and was told then that I would playing the character of Jared. I auditioned for two different characters and ended up getting something different. Jared’s great though because he’s part of the wolf pack right of the bat! AL: So were your familiar with the book series prior to filming? BP: I had no idea. I was totally oblivious to the whole “Twilight” thing. AL: Did you take anything from your character in the books and apply that to your onscreen portrayal of Jared? BP: Definitely! I always try to put a little bit of my actual self in each character I play so with this particular character I chose to make him a bit of a jokester. AL: What has been your favorite part about working on the films so far? BP: There are probably two different things. The fans are just amazing! I love them and they are really diehards about the films. I also really enjoy the camaraderie amongst the wolf pack. We often end up hanging out outside of shooting which is great. AL: What has been your experience with being recognized by the fans when you are out in public? BP: It still seems very surreal. Here in Los Angeles not a lot of people will come up to you and say hello but, when you’re in the Midwest for instance you get recognized a lot more and people will come right up to you. It is just very surreal. AL: Any good fan encounter stories for us? BP: (Laughs) I was in Toronto doing Much Music with Kellen Lutz and the people at Much Music had put our faces on these underwear and girls were almost rioting to get them. On top of that I don’t know how the fans found out which room I was in but I was in my room at the hotel and there was a knock on my door. I looked out my peep hole and there was like 20 girls lined up outside my room. I think it was the bell girls because every time I would order food like 4 girls would come up to deliver one meal. I figured it had to be them but I have no idea. AL: I was told you just returned from Comic-Con. What was that experience like? BP: This was my first Comic-Con experience ever and it was crazy! I didn’t expect it to be that big. The way I explained it to my friends because I am a big dork and love comic books and video games as it was a Mardi Gras/Halloween for nerds. AL: Did you get to check out the convention at all? BP: They tried to tell me I couldn’t go down to the lower floor and check stuff out but I told them it was something I really wanted to do. They finally said ok but told me I would have to wear a mask while I was down there. I ended up wearing an Optimus Prime mask which was a lot of fun. I had a total fan boy moment when I got to meet the guys from “It’s Always Sunny in Philadelphia”. AL: Can you tell us about “Fishing Naked” which both you and fellow “Twilight” cast member Tinsel Kory are in? AL: Can you tell us about any other projects you have in the works? BP: Right now and friend and I have some other projects that we are trying to get up off the ground but other than those nothing else just yet.